The Ghost of Jimmy Saville? I have never told anyone before this story as it still seems pretty unbelievable after all these years. When I lived in London in the 1980s, our regular pub was the Noggin’s Bonce in Peckham. It was a large pub with several rooms upstairs that they used to rent out for functions, wakes etc. I remember at the time that people used to take about strange things going on upstairs such as unexplained shadows, horrible smells and cold patches, but I always thought that these experiences were caused by people having one too many drinks and dismissed all the stories. Anyway one evening, I’d had one too many drinks and found myself going upstairs with my friends Rodney, Boycie, Trig, Del, my uncle Albert and the landlord Mike for a seance with a local ‘psychic medium’. Now, as I had had a few to drink and in the company of friends, I treated this as an opportunity to have a laugh and I think it’s fair to say that none of us were taking it seriously. When we got into the room, it was the usual set up of lights off, large round table with a heavy red velvet table cloth and a few candles dotted around the place. The psychic told us to all sit around the table and link hands. This took a while as we found the whole situation ridiculous and we all shouted ‘Is there anyone there? a few times before we all calmed down. Anyway once we had sat down, linked hands and stayed quiet for what seemed like a lifetime the psychic started asking if there was anyone there? Despite a few sniggers from my friends we heard nothing apart from a bit of noise coming from the bar downstairs. Again the psychic asked ‘Is there anyone there?’ and again there was no response. This continued numerous times until I thought that I felt a cold spot behind me. To be honest I dismissed this at the time as my imagination or a draft but it seemed to linger around for a longtime. I told my friends what I could feel, but they just laughed at me and accused me of taking a bribe from the psychic. It was at this point that we could hear and very faint dull thud. At first, I thought I was imagining it, but it slowly got louder and more frequent before finally stopping completely. We all looked at each other expecting the person next to us to burst out laughing and say ‘Don’t worry it was only me knocking the table!’ But no-one did. The psychic then said ‘Quiet, someone is near, it is saying it wants to talk to a child!’ It seemed like something out of a horror film at this point, but I was still sure that it was all a prank. Then the cold spot turned to something that I still can’t adequately describe to this day, my back went extremely hot, itchy and I had the feeling to get up and run out of the room as fast as I could. There was something by me that felt incredibly evil. I started to feel sick and stood up quickly, I turned to run to the door, knocking my chair over in the process. It was then that I saw it, I’m still not sure to this day if it was my imagination, but it seems so completely strange and unexplainable that deep down I know I saw something. Despite the room being in darkness apart from a couple of candles, I could see the outline of a man that seemed to be darker than the darkened room. The image only lasted a split second, but even now I can still picture it in my mind now. When I say the figure was dark, but I could still make out its details it sounds odd and I cant explain it. The figure seemed to be an elderly man with white hair and a tracksuit that reflected what little light there was in the room and jewellery around its neck and on its wrists. It had one piece of jewellery around its next that for some reason seemed to stick in my memory. It was some kind of square pendant with writing on it. But I couldn’t read the writing. As I said, this figure only lasted for a split second, but it seemed to morph into a shadow and move away from the door. I bolted for the door completely startled at what I had seen. As is reached the point at which the figure had been standing I could smell strong, acrid cigar smoke and I’m sure something whispered in my ear ‘Now then, now then’. I have never opened a door so quickly in my life or ran down some stairs for that matter. I don’t know what was going on in the room upstairs, but I could hear some laughing. I ordered a large whiskey at the bar to settle my nerves. I never did tell my friends what I saw, but they wouldn’t have believed me anyway. I never really did go back to that pub again and I lost contact with my friends. However years later I saw Del and he said that the week after that someone else had said that during another seance someone or something had whispered the name ‘Jimmy’ into someone’s ear. No-one believed him either. The pub was demolished in the 1990s and I’ve googled it a few times to see if anyone else has put any details on the pub being haunted- they haven’t, but I know what I saw, felt and heard that night. 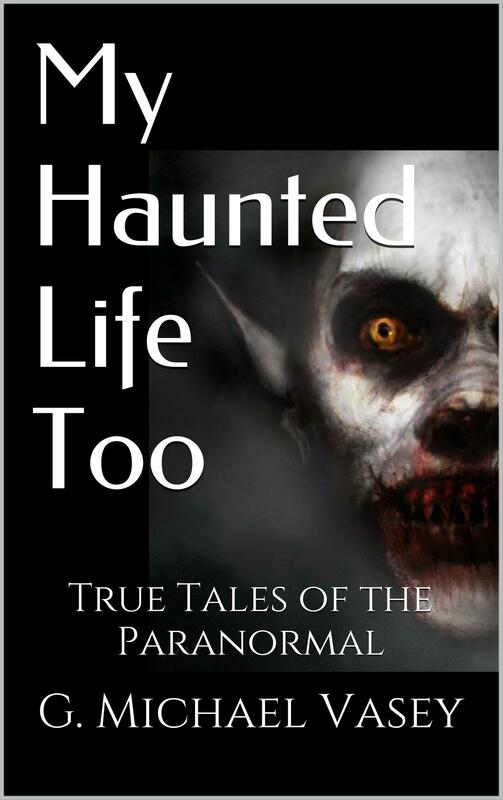 Home » Your True Encounters » The Ghost of Jimmy Saville?